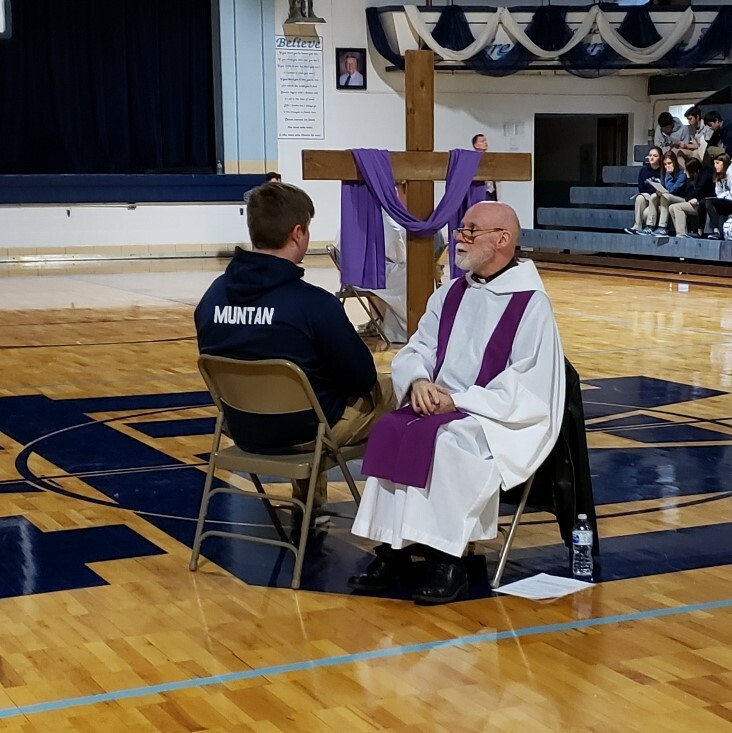 During our all-school reconciliation service on March 20, Grant Muntan (left) receives the Sacrament of Reconciliation from Fr. Joe Rascher of St. Mary Catholic Church in Trenton. We offer our sincere gratitude to our area pastors for their dedication to the Mater Dei community!